The United Breweries board would continue to maintain confidence in UB Chairman Vijay Mallya unless he was convicted or asked to step down to conform with regulatory requirements, said Kiran Mazumdar-Shaw, an old friend of Mallya and an independent board member at UB. “If they are willing to offer me safe passage, I am willing to come and answer all questions,” Mazumdar-Shaw, recalled him as saying. UB, once controlled by Mallya, is now majority-owned by Dutch beer maker Heineken; he had sold sold stake to raise money to fund the now-defunct Kingfisher Airlines. The latter's failure also caused the collapse of Mallya’s liquor empire -- he'd once controlled the largest spirits and beverages maker in the country. And, has been left owing about Rs 9,000 crore (Rs 90 billion) of loans to a group of banks. Mallya is facing investigations by the ED and the Central Bureau of Investigation over money laundering charges on a Rs 900-crore loan raised from IDBI Bank for the defunct airline. The money was sanctioned despite an internal IDBI report to not advance the money. The UBL board includes Frans Erik Eusman, the Asia-Pacific head of Heineken. 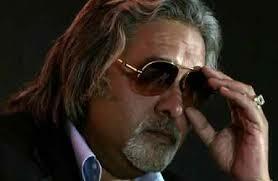 Mallya told the board he was in a difficult position and due to this, could not return to India. He would keep them posted about new developments in the case against him. Mallya added that he continued trying to reach out to banks to settle his dues that amount to Rs 9,000 crore (Rs 90 billion). Mallya left the country on March 2 and has had his passport revoked. The government of Britain has apparently advised Delhi to look at the extradition route to bring him back.